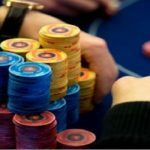 (512 rebuys and 612 add-ons) and generated cash pool prize of amount $385,091, which is distributed to top 98 finishers. The tournament was unlimited rebuys for the first 90 minutes. 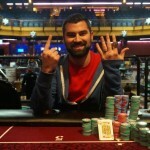 The runner up of this event was decided after a heads up deal in between UK’s “Epiphany77” and Brazilian Luciano S.H and According to the deal; it was Luciano S.H, who becomes the runner up for a cash prize of amount $52,756. Seat#1, seat#2 and seat#3 for player like FreeLancerZZ from Czech Republic (740,074 in chips), highblaze from United Kingdom (312,938 in chips) and TTPlayer18 from Germany (1,705,104 in chips). Seat#4, seat#5 and seat#6 were for Kurt “kurt23x” Fitzgerald from Costa Rica (2,417,531 in chips), G’s zee from Canada having (1,183,423 in chips) and Luciano S.H from Brazil had (982,613 in chips). Meanwhile seat#7, seat#8 and seat#9 of the final table of event#31 for world cup of online poker 2016 was decided for Charlie “Epiphany77” Carrel, a player from the united Kingdom (1,459,136 in chips), yuhsuan from Australia (1,604,183 in chips, and a Polish pro Dzmitry “Colisea” Urbanovich, who then had (609,998 in chips). 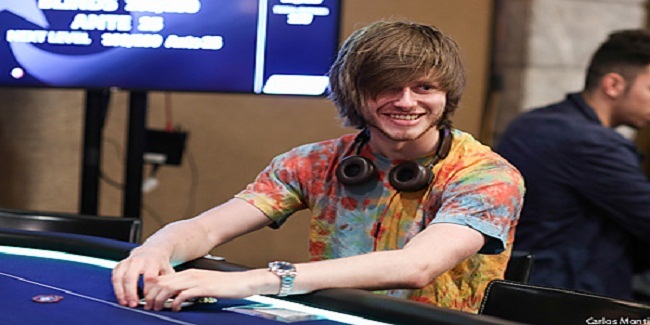 The first elimination from the final table was of a player from United kingdom named highblaze, who busted to ninth place and made $5,424 from the tournament. FreelancerZZ finishes at eighth position in the game for a total income of amount $7,399.75, whereas Polish Dzmitry “Colisea” Urbanovich made $10,095, from the tournament being seventh. He already had two SCOOPs and one WCOOP title to his name and was looking in great form but unfortunately hit the rail to seventh. Australian yuhsuan pocketed $13,772, being sixth, and German TTPlayer18 made $18,789, being fifth player in the winners list. After at least half an hour two back to back eliminations took place and they were of Canadian G’s zee and Costa Rican Kurt “kurt23x” Fitzgerald. They both made $25,633 and $34,970 respectively and secured fourth and third positions.